All the winners were from the Dairy State. Most competitions seek to identify the cream of the crop, but in this contest, if you submit cream, it means you’ve missed a whole bunch of important steps. We’re talking, of course, about the US Championship Cheese Contest, and as the dust settled on last week’s three day competition, Wisconsin cheesemakers came out on top, including locking down the coveted Grand Champion Cheese award, given to Sartori Reserve Black Pepper BellaVitano from master cheesemaker Mike Matucheski. Matucheski wasn’t the only one with Wisconsin cows to thank. The cheese-loving state swept the top three spots in this year’s contest, the first time that’s happened since 2011. An aged cheddar from Weyauwega, Wisconsin’s Agropur was named First Runner Up. And Marieke Gouda from Thorp, Wisconsin, was named Second Runner Up with its Marieke Gouda Belegen. 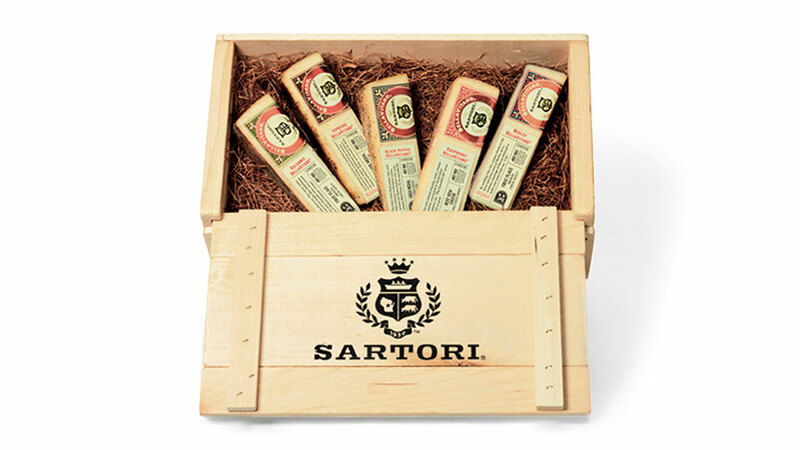 Should all of the Sartori Reserve Black Pepper BellaVitano get eaten, the runners-up will assume that cheese’s duties. Despite the contest receiving a record 2,303 total entries from around the country this year, Wisconsin still accounted for about 50 percent of them and was able to win 60 percent of the 303 class awards given to cheeses of all different varieties. Though, for what it’s worth, the competition is organized by the Wisconsin Cheese Makers Association and was held at Green Bay’s Lambeau Field – giving Wisconsin cheeses about as literal of a home-field advantage as one could imagine. Still, Suzanne Fanning, Vice President, National Product Communications, of the Wisconsin Milk Marketing Board boasted in a press release anyway. “It's further proof that Wisconsin not only makes the most cheese in the country, but the very best cheese, as well,” she said. Hey, don’t hate the cheese; hate the game.